To sign up to the S2S UK Cottage Holidays Newsletter, simply click the Request Newsletter button below and you will receive amazing special offers, discounts and access to secret sales. 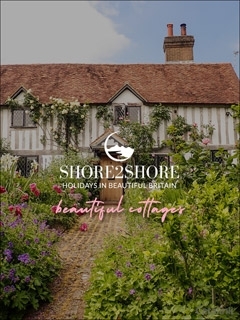 Shore to Shore Cottages offer accommodation across the UK in a variety of picturesque locations. Whether you're looking for a country break with the kids, a romantic getaway, or you simply want a break from the hustle and bustle of city life, we're sure we can find something for you. Whether you want to go, we can make you feel at home: so why not contact us to see how we can help you to discover the beauty of the British countryside? By Pressing the Request Newsletter button you give S2S UK Cottage Holidays (and their Data Processors for the specific purpose of delivering your emails) consent to send you their newsletter via email until such time as you choose to unsubscribe.